Sanding is one of the most exhausting jobs you can do by hand. For that purpose, there are many different brands and models of sanders designed to make that job much more comfortable and quicker. A sander is a device most commonly used for woodworking job sand projects, but even so, there are some things you should look for when buying this machine. Sure, all those devices deliver results to a certain extent, but not like the GEN5X random orbit sander, which is one of the best machines because of the many features it offers. Some of them are a variable speed dial, a quick release dust bag that picks up 90% of the dust you scrape off, an onboard vacuum adapter, a soft start option, and many others, but we’ll get back to the features further down in the review. The GEN5X random orbit sander is a handy tool that can cope with any sanding jobs, even those that require a lot of effort and time. The variable 6-speed setting runs the sander up to 11,000 rotations per minute, so it’s clear that wooden and metal surfaces don’t stand a chance. Read on and find out why this is one of the most popular sanders in today’s market. Right off the bat, it’s evident that the GEN5X orbit sander has a couple of features you don’t see on similar products made by other brands. It has a beautiful compact design, but it’s also got a number of handy features that will make your life easier. The permanent magnet motor powering this tool is designed to maintain speed and power. 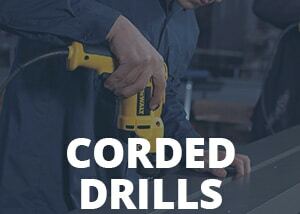 The tool provides the same result as cord-like tools, which is a huge plus in our book. The 4.0Ah hyper lithium-ion battery provides 40 minutes of work time on heavy duty applications and the recharge time takes only 25 minutes. Another great feature is the dust collector that can catch up to 90% of dust, so your work area stays clean at all times. Some sanding jobs are more difficult than others, which is why the GEN5X has a variable speed dial. It’s very useful, and you get to change the operating speed with a simple press of a button. The switch has a dust-seal so that you won’t have problems there. Like other tools fromthis line, this one also has a Hex Grip that provides a safe grip and improves user comfort. The entire tool weighs less than 2.5 lbs so that you won’t feel any fatigue even after prolonged use. There is no doubt that we’re looking at a well-designed and constructed tool. It’s got everything you need and more. Let’s start with the looks. The tool is very compact and looks great. The Hex grip is covered with an enhanced micro texture that provides a secure grip and increases user comfort. However, not all of the tool are so safe to use, especially if you’re a beginner, so learning about safety is a must before you start with your projects or repairs. But, as far as this tool is concerned, it’s effortless to control, no matter if you’re working with wood or metal. Then we have the AirGuard technology. It’s really a small bag that catches 90% of the dust while you work the tool. You won’t have to stop every 30 seconds to clear the work area —a small, but very useful feature. The variable speed dial is also very useful as it allows you to change the speed of the sender according to the surface you’re working on. The soft-start feature is a must for these machines, but somehow many of them don’t have it. The GEN5X does, and it works great. It prevents you from sanding the material too deep when you start working and speeds up after a couple of seconds. Sanding creates a lot of dust and debris, and you need a vacuum to clean everything up once you’re done. Well, this device has a built-in onboard vacuum adaptor that fits 1-1/4 in. and 2-1/2 in. standard vacuum hoses, so you can clean up everything in seconds. The orbit diameter is 1/8 inches, and the pad size is 8606. This tool can work with any GEN5X battery, but it usually comes with a 4aH, 18V standard cell. The battery can provide up to 40 minutes of work time under a heavy load. When it depletes, the charger will recharge it back to full capacity in about 30 minutes. It’s one of the best batteries and chargers for cordless tools there are. Like other GEN5X tools, the Orbital sander comes with a lifetime service agreement, all you have to do is register your tool on the official Ridgid website. The agreement covers parts and service for life. You also get a 90-day return option, so you get your money back if you don’t like this device. We liked this sander because it’s one of the most compact and most comfortable to use machines so far. It’s got great features that do what they promised. The dust collector is a nice feature because you don’t have to clean the entire garage when you’re done. When it comes to power, the sender is able to scrape rust and old paint off wood, plastic, and metal. It’s a profoundly powerful cordless tool that can be used by professionals and amateurs alike. You have to be careful when using this device because the motor can burn down if you push it too far. We also didn’t like the fact that the charger and battery are not included with the purchase. You have to consider that before buying this tool. When it comes to general impressions, the thoughts are divided. People who use the random orbit sander for light jobs like this device, and those who want to get a lot done quickly don’t. They also don’t like spending extra money on batteries. Also, the lifetime service agreement is a little complicated in practice. The Random Orbit Sender has a lot of useful features but lacks the power needed for heavy-duty applications. However, it works well for light and medium applications, as long as you don’t push it to the limit. If you’re looking for a device to help you with not so regular sanding jobs around the house, this one will work.